Summer’s here! For our family this year, that means it’s time to take to the air and hit the road! So I’ll be sharing some of my travel experiences and tips we pick up along the way – from traveling with kids to places to go. Our first trip keeps us Stateside to visit family. But we are traveling coast to coast. So while I don’t expect to get much German work done this week, I can still share some of my favorite travel tips. Do you use packing cubes? I love these things! We each get a set of 3, in different sizes, and they are color-coded for each member of the family!! For the kiddos, the large one holds tops & bottoms, socks & underwear. The medium cube is for pajamas, raincoat, and hat. This time, I used one of the small ones for shoes and the other for a mini diaper bag with pull-up, wipes, and change of clothes. Luckily we didn’t need it! 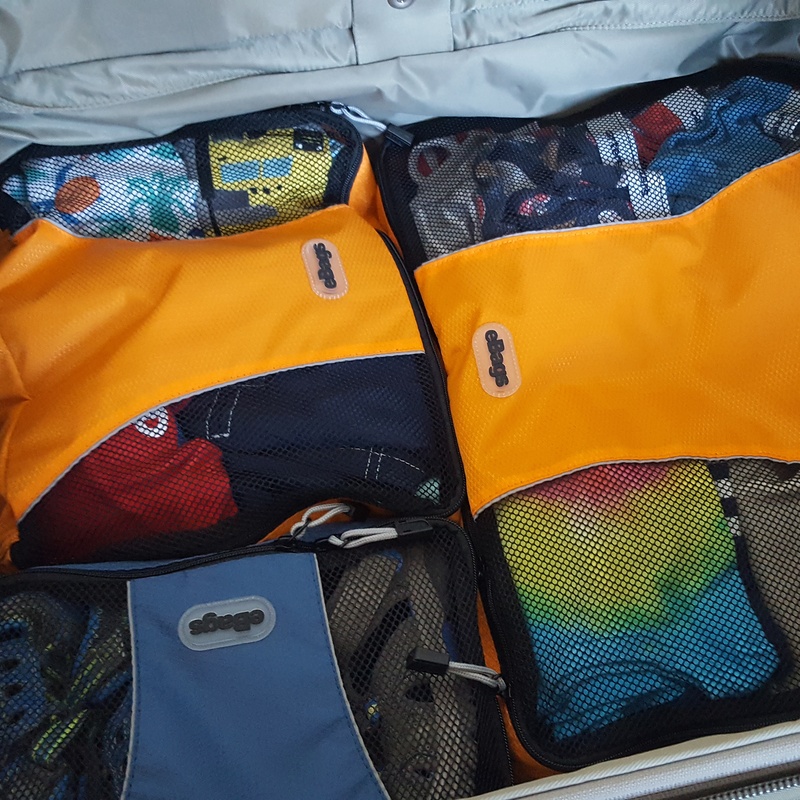 The other thing I like about packing cubes is that I can start packing days ahead of time and then just throw the cubes into the suitcases. Sometimes I’ll admit, they can be tricky to fit. It’s kind of like a mini game of Tetris! There might be other versions out there that have solved this problem, but I don’t know.